A fair skinned person with no protection can burn in as little as 10 minutes during the midday hours between 10 am and 4 pm when the UV index is at it’s most intense! National Sun Safety Week is June 7-12 and is meant to call attention to the dangers of the sun’s UV rays and how to protect ourselves while we are enjoying all the fun outdoor activities this summer. Exposure to the sun’s UV rays continues as the ozone layer is depleted. You can still burn on a cloudy day. Children get 3 times more sun exposure than adults, on average. 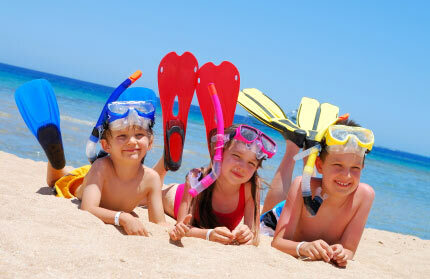 Use a minimum SPF15 for adults and SPF30 for children for the best protection. Play it safe this summer and use a broad spectrum SPF product to protect your skin from the sun’s UVA and UVB rays and be sure to apply often.